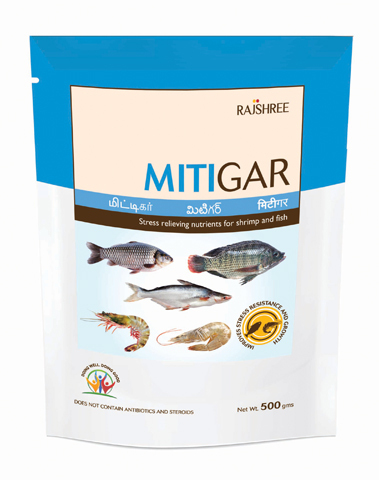 MITIGAR is a unique combination of essential vitamins, trace minerals and micronutrients at appropriate proportions developed for fish and shrimp growth. This combination helps in maintaining better integral metabolism in the animal and thus improves growth. Supplementation of essential vitamins and micronutrients helps shrimps and fishes mitigate from development of stress and diseases.